Britain’s Chancellor Philip Hammond began the search for a new governor of the Bank of England to help steer the world’s fifth-biggest economy, and its global financial centre, through the upheaval of Brexit. Mark Carney, a Canadian, twice extended his term in charge of the British central bank as Brexit approached. But he has ruled out a further delay even though Britain’s departure from the European Union remains up in the air. “We are looking, obviously, for a candidate of the highest calibre. As we leave the European Union it’s very important that the UK continues to play an important role in global fora,” Hammond told a parliamentary committee on Wednesday. 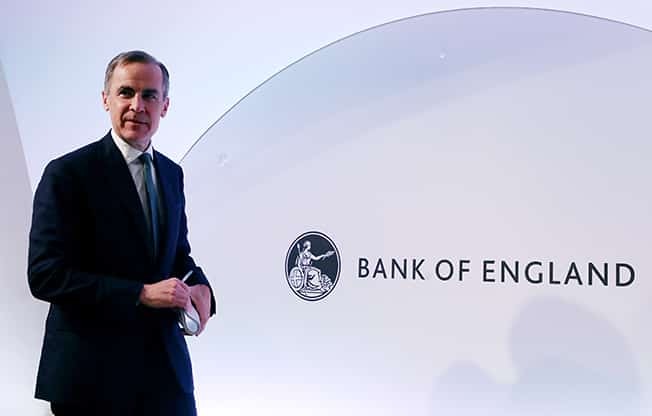 Carney, the first foreign governor in the BoE’s three-century history, took up his role on July 1, 2013, and will step down on Jan. 31 next year. Potential candidates for the role which pays an annual salary of 480,000 pounds include former BoE deputy governor Andrew Bailey who is now chief executive of the Financial Conduct Authority, a markets regulator, and current top officials at the BoE including deputy governor Ben Broadbent and chief economist Andy Haldane. Raghuram Rajan, a former governor of the Reserve Bank of India who also served as chief economist at the International Monetary Fund, declined to comment when he was asked this month whether he would consider a return to active policymaking. Hammond said he hoped to make an appointment in October. He said his preference was to hire someone for an eight-year term but might be flexible for an exceptional candidate. Earlier this month, he said he hoped potential applicants for the role would not be deterred by the risk of being drawn into divisive political debates over Brexit. Hammond on Wednesday stressed the importance of putting the BoE under the charge of someone who would command respect of policymakers around the world at a time when Britain is preparing to pursue a more global role outside the EU. “We know from the experience of the previous crisis that it is through cooperation between central banks that we ensure stability,” Hammond said. “Therefore it’s very important that as well as having someone who can do a first-class job at home, we have someone who commands respect in the international arena,” . The Treasury hired recruitment firm Sapphire Partners, the first time it has sought external help to find a BoE governor. The firm helped in the appointment of two women to the BoE’s Financial Policy Committee – former Virgin Money chief executive Jayne-Anne Gadhia and banking regulator Colette Bowe – after complaints by lawmakers about a lack of gender diversity. Rupert Harrison, who was chief political advisor to former finance minister George Osborne when he appointed Carney, said Prime Minister Theresa May – a former BoE official herself – might want to install a first female governor. Minouche Shafik, director of the London School of Economics and a former BoE deputy governor, former Monetary Policy Committee member Kate Barker and communications industry regulator Sharon White were credible candidates, he said. Bookmakers Ladbrokes placed Bailey as the front-runner with odds of 2/1, followed by Shafik and Rajan at 5/1. At 8/1 was the chairwoman of Santander UK, Shriti Vadera, who served as a business minister during the financial crisis. A Treasury official said interviews would be conducted over the summer following an application deadline of June 5. 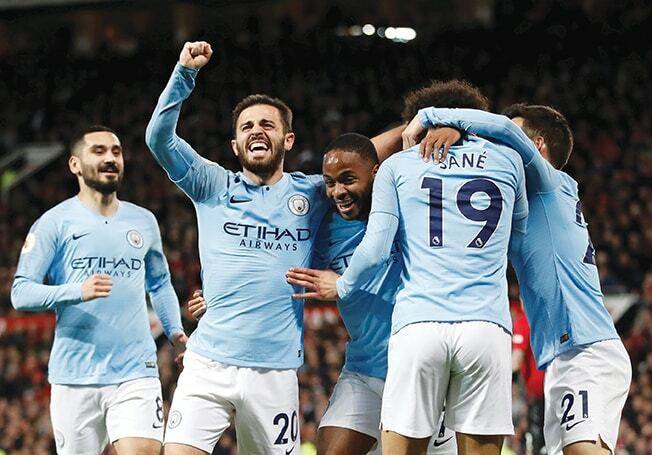 Manchester City took a big step towards retaining the Premier League title with a 2-0 win over Manchester United at Old Trafford on Wednesday sending them back to the top of the table. Man City have 89 points, one more than rivals Liverpool, with both teams having three games to play. Second half goals from Bernardo Silva and Leroy Sane ensured a comfortable win for City against a United side that remain in sixth place, outside the Champions League qualification slots. United, smarting from their 4-0 hammering at Everton on Sunday, played with aggression and energy in the scoreless first half but the game was put beyond them after the break. Bernardo Silva picked the ball up on the right flank and cut inside, surprising United keeper David De Gea with a low drive that sneaked in the bottom corner in the 54th minute. Twelve minutes later and City doubled their lead – Fred giving the ball away in midfield, Raheem Sterling breaking forward before feeding Sane on the left with the German’s powerful drive flying in off the outstretched leg of De Gea. Arsenal’s fragility on the road returned as a 3-1 defeat at Wolverhampton Wanderers on Wednesday put a huge dent in their hopes of a top-four finish in the Premier League. Arsenal needed only a point to reclaim fourth spot from Chelsea but conceded three times before the break. 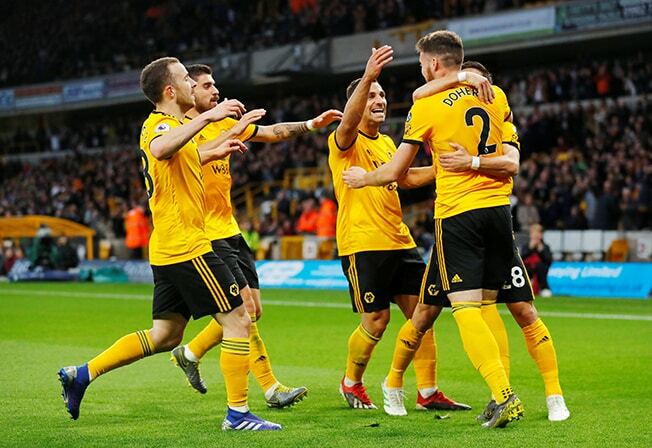 Unai Emery’s side were stunned as Wolves recovered from a slow start to take the lead with a stunning Ruben Neves free kick before Matt Doherty headed a second in the 37th minute. It got even worse for Arsenal in first-half stoppage time as they carelessly gave the ball away in midfield and Diogo Jota surged through to fire a shot past Bernd Leno. A late Sokratis header from Granit Xhaka’s cross was scant consolation for the Gunners fans who had made the trip to the Midlands. With three games left Arsenal remain in fifth place, a point behind Chelsea and four behind third-placed Tottenham Hotspur. Wolves moved into seventh spot — a position that could offer a route into European football next season. 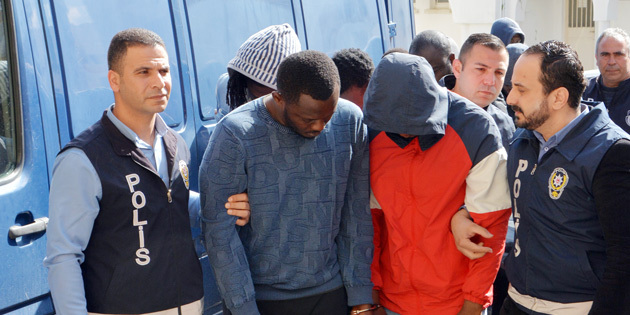 Northern Cyprus police on Wednesday released six people out of the 12 arrested in connection with the murder of a Nigerian student Walshak Augustine Ngok, 25, who was found dead in a forest area in Haspolat on Friday last week. Police investigation revealed six people have no connection with Ngok murder. Those released are Prience Ogunmanam (Nigerian), Chinoso Chiemelie Onue (Nigerian), Gabriel Kelechi Muukwe (Nigerian), Christian Chukwuka Ezani (Nigerian), Clement Ozuman Manufur, (Nigerian), and Ifeanyichukwu Valentine Eze (Nigerian). The remaining 6 will be arraigned in court on Thursday (today). 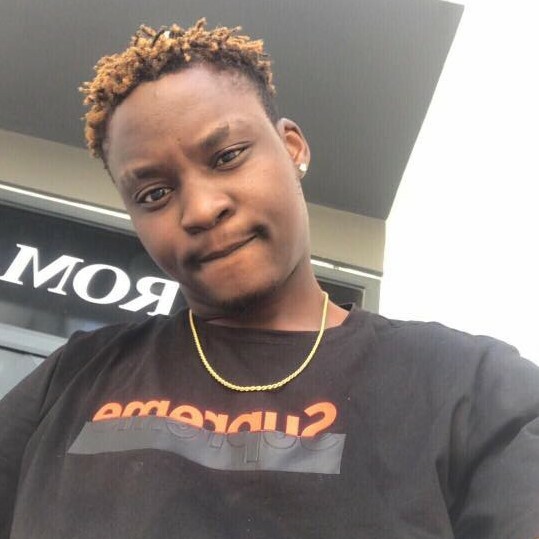 Ngok was murdered by his roommate identified as Chrstopher Ezeh, 29, over a dispute. Ezeh admitted to police to killing and dumping Ngok body in the forest. An autopsy carried out on Ngok revealed that he died from head trauma as a result of severe beating, the student suffered from blunt head trauma, cerebral hemorrhage and loss of breath as a result of being choked. Earlier on Sunday, Northern Cyprus police carried out an operation in Gonyeli in which nine people, all foreigners were arrested and detained for investigation. Another three suspect were detained in another home operation. Among those arrested are 9 Nigerians, 2 Zimbabweans and 1 Ghanaian.